Citrix Summit 2017 started with a welcome to all the partners and employees present and watching remote. Over 4000 attendees made it to the Anaheim Convention Centre in California this year. Half of this number being partners and the other half Citrix employees. As of this year the new slogan is “Winning together”, Wether this is together with partners, with Microsoft or internally within Citrix doesn’t really matter. Last year Citrix showed this by completing the three business parts merger into one to become a more agile company “together”. 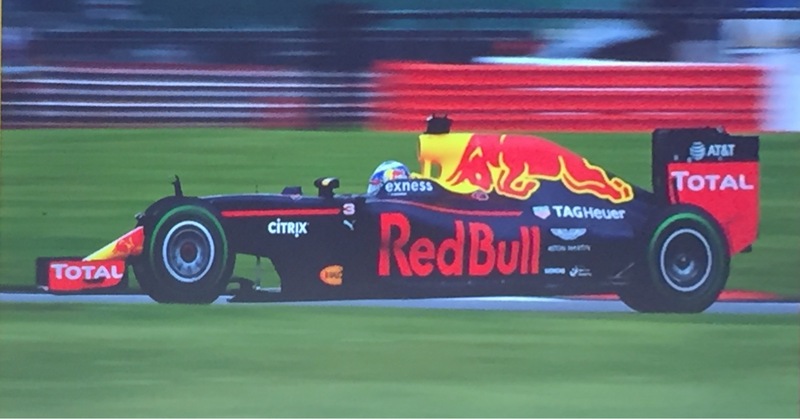 It doesn’t stop here, this “toghether” is being projected towards customers, for example Citrix customer Red Bull Racing. In a sense there is an analogy with Formula 1, in Formula 1 we have the driver playing an important part in winning the race, but he’s not alone, there are a lot of people behind him analyzing the machine data (IoT) to have a realtime insight in how the car behaves and to be able to adapt in preparing the car and determining the strategy of the race. So winning together does apply here too. Citrix’s new slogan tries to achieve the same with their partners in different ways, trying to win market share together with partners and helping partners to win deals together. Being a Dutchie, this example is extra nice because of the achievement of the Dutch driver Max Verstappen in the past season together with the fact Red Bull Racing using the complete Citrix stack to support the team. 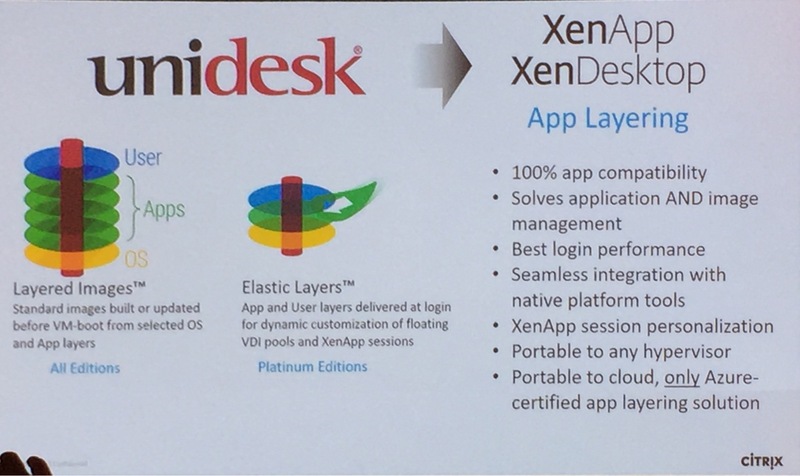 Next to the new (marketing) slogan’s and partner strategy Citrix also announced the acquisition of the Unidesk company which offers advanced app layering. With this app layering and the previous acquisition of Norskale Citrix now has an extensive portfolio regarding profile management and application delivery. As these acquisitions are recent I wonder how quick Citrix will incorporate them into the product. As we all know these acquisitions take time to get integrated and be part of one integrated solution. Looking at other vendors in the ecosystem we continue to see difficulties in merging development and support aspects of the different products after a company has been taken over. The potential is huge, let’s hope the outcome is too. Another announcement at Citrix Summit was the Long Time Service Release of XenServer, with this Citrix makes and end to the rumors it was about to stop supporting XenServer in the near future. 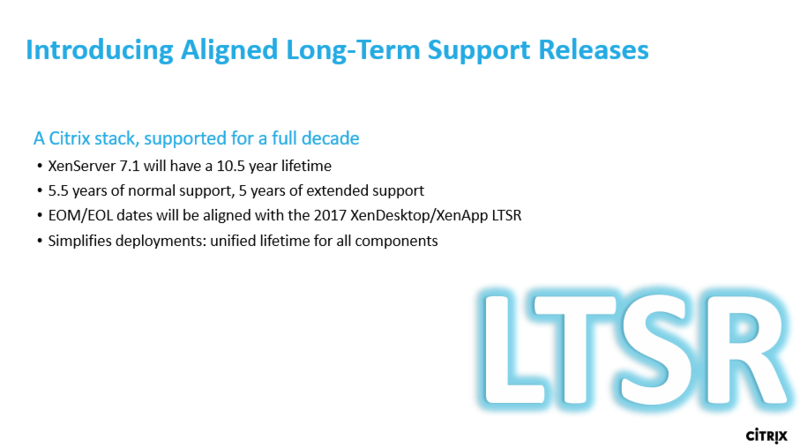 XenServer LTSR will now be supported for the next 10 years. A great new feature in XenServer is the caching on the XenServer side for Citrix Provisioning Services (PVS) and Citrix Machine Creation Services(MCS). After being almost a year in beta Citrix finally announced a set of security API’s available since version 7.0 of XenServer to be able to do Hypervisor Memory Introspection(HVI). Developed jointly with Intel and BitDefender this a game changer in the world of anti-malware, it’s a true agentless solution that can prevent organizations becoming a victim of zero-day attacks. HVI adds an extra security layer at the hypervisor level and is able to inspect the raw memory and detect malicious actions. The XenSever API’s let HVI access both usermode as well as kernelmode in-guest memory and with this HVI has complete visibility of the VM and the context of the VM. At the same time HVI is isolated from the VM’s at the same level as the Hypervisor itself. HVI is not intended to replace in-guest security like anti-malware agents which also offer file-level scanning. HVI can however protect the integrity of the in-guest agents. In virtual environments often file-level scanning is offloaded from the agent to a virtual appliance which improves performance but does not make it more secure. HVI improves the visibility into the virtual machine’s memory without an in-guest component and at the same time protects the in-guest file-scanning agents from being tampered with. This will make it much more difficult to fool a ant-malware solution. This HVI solution offers protection against APT’s (Advanced Persistent Threats), especially those threats that make use of recent vulnerabilities that are not yet patched (i.e. zero-day attacks) in order to get to sensible information. The HVI technology is integrated and can be managed with GravityZone, the Bitdefender enterprise endpoint protection solution. At this moment, BitDefender is the first and only GA solution of this kind on the market. As said earlier Citrix cloud was introduced early 2016. In 2017 Citrix ‘s strategy will be “cloud first”, but let’s be clear about Citrix Cloud first, because this might easily be misunderstood by customers. So what is Citrix Cloud? Citrix created a cloud based backend infrastructure for customers to easily start a deployment without having to know how to setup a Citrix environment. After initiating this cloud based infrastructure customers can customize the environment according to their wishes. Speaking about the infrastructure we did not talk about the actual workloads (vdi desktops or XenApp servers), these workloads can be run on a different number of locations. Customers have a broad choice available for running their workloads, e.g. on premise (all the previous choices like different hypervisors etc) or cloud (Azure, AWS, etc.). Just fire up one of the connectors and you good to go. What’s nice about the Citrix cloud is the software used being the same software you would use when running it on premise by yourself. The teaming with Microsoft, another spearpoint at Citrix Summit, was brought with a lot of (repetitive) attention. The Microsoft partnership is not new, actually has a long history, but let’s say it has been vamped up to win on both sides. Citrix & Microsoft have made it easy to run workloads on Azure, and have worked on improving the integration of Office 365 and Citrix products even more. At this moment Citrix claims to be the first and only vendor to integrate with Onedrive for Business in virtualized environments and delivering extensive support for Skype for Business. Knowing this it shouldn’t come to you like a surprise when I tell you the Citrix Cloud runs on Azure. 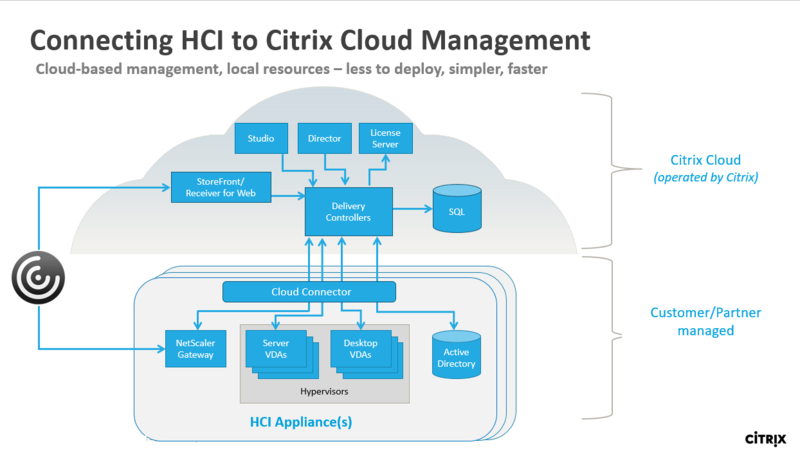 To be able to easily service the medium sized business Citrix now opened the Citrix Ready HCI Workspace Appliance Program. This program allows for Hyperverged Computing Industry partners to integrate with the Citrix Solutions. For some time now Citrix has been working with partners like Nutanix and Atlantis Computing. Remarkably Hewlett-Packard was announced first partner. Not the first vendor that pops up when thinking of hyperconverged infrastructure. Nevertheless this integration will make it easier to control and scale a platform for workloads. Especially in combination with Citrix Cloud as also outlined in the picture above. Several Networking sessions like Netscaler sizing, but also SD-WAN & MAS, the improved single sign on/ smart access, compatibility with InTune for mobile device management. Skype for Business with HDX ready Pi, a solutioni for the search for a cheap endpoint below 100 Euro Click here for more info. Virtualized OneDrive for Business (Office365) in combination with Citrix Sharefile. HDX protocol enhancements, now Citrix will decide by itself wether to use UDP or TCP for certain traffic which can give a boost to file-copy and videostreaming for example.